It’s a given that you’ll want to choose one of the best Inca Trail tour operators for your trek to Machu Picchu in 2019. One with a good reputation, that fits your budget, and that offers the style of trek you really want (simple or luxury, two-day or four-day, group tour or private). But with more than 190 officially-licensed Inca Trail tour operators out there, deciding which one to choose is no easy task. Here, then, I’ve put together a list featuring some of the best Inca Trail operators based in Peru, based on a few different criteria. This includes personal experience with a number of the companies (be it trekking, kayaking or other outdoor activities); recommendations from friends and colleagues working within the Peruvian tourism industry, especially in Cusco; and positive reviews in travel guides and travel websites, including — cautiously — websites with user-generated content (think TripAdvisor). I don’t claim that this is a definitive list — there are certainly other tour companies, both new and old, that probably deserve to be featured here but aren’t (feel free to recommend a company in the comments section below and I might add them to this page). But the trek operators listed here are among the most established, respected and reliable in Peru. The following Inca Trail tour operators are listed in order of price — not comparative quality — from the least expensive to the most luxurious options. 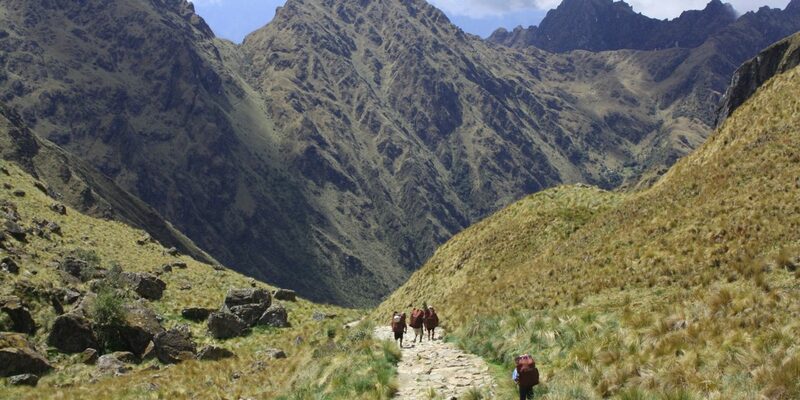 Rates are for the classic four day/three night Inca Trail trek (group tour) unless otherwise stated. Prices can change quickly, especially at the start of the year, but I’ll try to keep these updates as often as possible. All of these companies are based in Peru, so the money you spend should stay in Peru, and all offer alternative treks to Machu Picchu, as well as various other tours around Cusco and beyond. 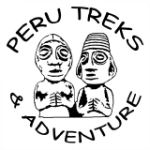 Founded in 2002, Peru Treks focuses exclusively on the four day Inca Trail trek to Machu Picchu. This specialization has served the company well, earning Peru Treks positive reviews from Lonely Planet, Rough Guides, The New York Times and many more. 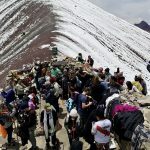 Peru Treks chooses the majority of its nearly 250 porters from six mountain villages in the region, and is dedicated to their ethical treatment. Valencia Travel Cusco is a highly professional trek and tour company that focuses on both young and older travelers alike, making sure everyone makes it to their intended destination. I trekked to Machu Picchu with Valencia in 2015 — via the alternative Huchuy Qosqo trail — and it was a great experience: Excellent food, a knowledgeable guide and enthusiastic porters. And a few glasses of chicha along the way. Do a little research online and you’ll soon start seeing positive reviews about Alpaca Expeditions, including a whole bunch of glowing reports and five-star ratings on TripAdvisor (approaching 2,000 at time of writing — enough to make it legit). What’s more, the company’s Peruvian owner, Raul Ccoluque, has been working along the Inca Trail since the age of 18, including as porter and a guide. For a while this relatively new company has been on my list of other Inca Trail tour operators to consider (see below). But I’ve bumped it up to this main section for various reasons. It’s an interesting option thanks to the company’s structure and philosophy, which is based on the Andean concept of ainy, or reciprocity. Tour guides, porters and cooks have shares in the company, with people earning a fair amount for their level of contribution. 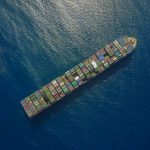 This ethical stance has attracted attention from the likes of National Geographic, who featured an article about Evolution’s pioneering use of female porters. The company has also had plenty of excellent reviews on TripAdvisor. Definitely one to consider. Llama Path is another Inca Trail operator with plenty of positive reviews. And, as with Alpaca Expeditions, its owner, Jose Gongora, had plenty of experience working as an Inca Trail porter before founding Llama Path in 2003. 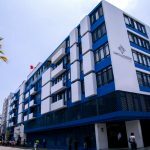 Porter welfare is understandably a priority, along with a positive and fun outlook that this particular agency exudes. David Quintana had guided for many of Cusco’s tour operators before founding SAS Travel in 1990. One of the most experienced tour operators on this list, SAS Travel offers a wide range of treks in and around Cusco, as well as tours to other parts of Peru (with various combo packages available). SAS Travel is known for its enthusiastic and highly knowledgeable guides. A Peruvian-owned Cusco-based tour operator founded in 2004, Sun Gate Tours ticks most if not all of the boxes for a solid and affordable Inca Trail option. No frills, perhaps, but it gets the job done in a reliable and conscientious way. Wayki Trek was formed in 1998 by a group of experienced tour guides from different rural communities in the Cusco Region. A key feature offered by Wayki Trek is small group sizes. They never exceed eight trekkers per group, unlike many operators who will happily reach the maximum group limit of 16 people. So, plenty of local experience combined with small groups. What’s not to like? Enigma Adventure offers group Inca Trail treks at a mid-range price, but they’re really known for their private luxury treks. These personalized treks are more than double the price of typical 4 day/3 night treks to Machu Picchu, but you’ll be hiking in style with excellent service and gourmet food. Not for budget travelers, but worth considering if you want something a little more chic (maybe for a honeymoon). Explorandes is justifiably proud of its pioneer status: In 1975, it became the first adventure company to operate commercial treks along the Inca Trail and to Choquequirao. It now runs tours and treks all over Peru, including a popular 5 day/4 night Inca Trail trek to Machu Picchu. This is one day longer than the standard trek offered by most other agencies, giving you more time for exploration and avoiding the worst crowds along the trail. I’ve been kayaking with Explorandes on Lake Titicaca and on Lake Piuray, and can vouch for their professionalism and high levels of service. Amazonas Explorer is British-owned but Cusco-based, with more than 30 years of experience in Peru’s high-end trek and tour market. Like Explorandes, Amazonas Explorer adds an extra day onto its standard Inca Trail trek, ensuring that you have much of the trail to yourself by leaving later than the trekking hordes. You’ll also have more time to explore the Inca sites along the trail. The following Inca Trail tour operators are on my watch list, so I might as well share them here, too. These are companies that look good from the research I’ve done, but I don’t quite have enough info from varying sources to give them a full recommendation. If and when I do, I’ll bump them up to the main section. Inti Sun Trek: ($600): Good price, good feedback in forums and on TripAdvisor, and a maximum of eight trekkers per Inca Trail group. Sounds promising. Machu Picchu Viajes Peru ($650): Plenty of positive reviews on TripAdvisor. According to their Facebook page, they were founded in 2003 by local guides. SAM Travel Peru ($643): Good user-generated reviews online, and a mention by Condé Nast Traveler. One to watch. As for non-Peruvian international Inca Trail operators, there are companies like G Adventures and Intrepid Travel that offer treks, typically as part of a larger package. These larger international tour operators often use local operators to actually run their treks. Generally speaking, if you just want to book a trek along the Inca Trail to Machu Picchu, or any alternative route, it’s best to use a truly local company. But if you want a full package (for example, Lima to Cusco to Machu Picchu and back again, all included), then a well-known international tour company might be worth considering — but it will be more expensive than traveling to Cusco independently and then using a local company. Main Inca Trail photo by Lisa Weichel, flickr.com. How Was Your Inca Trail Tour Operator? I’d love to hear your feedback about any Inca Trail tour operators, whether they’re listed here or not. Please leave a comment below to share your experiences. Thanks! Hi Larry. I just contacted Explorandes through their Facebook page (www.facebook.com/Explorandes) and they replied straight away. The guy there asked me to give you his email address: [email protected]. He speaks English, so hopefully he’ll be able to help you out. Let me know if you have any other problems. Cheers, Tony. Hi Claudia. I had great food when I trekked to Machu Picchu with Valencia Travel — not gourmet or anything, but very well prepared Peruvian food. In general, all of the Inca Trail tour operators listed above should have good food, with a dedicated cook and often a kitchen/dining tent. Typically, the more you pay, the better the quality — especially if you trek as a private group (rather than a scheduled group departure). Enigma Adventures has a good culinary reputation, and Explorandes and Amazonas Explorer should both have excellent food, even with their group departures. Let me know how it goes — and how you like the food! Tony. Hey, thank you for compiling this information! Im planning a 25 day solo trip in May landing in Lima and Im just starting to learn about Peruvian tourism locations/activities. I am a 22 yr old gringo that speaks Spanish fluently. Are there other, cheaper options for Spanish speaking people to do the treks or is this list pretty comprehensive for what companies tourists should feel comfortable using? Hi Chase. Being a fluent Spanish speaker won’t make any difference. Whether you have an English- or Spanish-speaking guide (or bilingual), the price will typically be the same. As for the list of companies, I woouldn’t call it comprehensive necessarily as there are hundreds of tour companies who do the Inca Trail. But the companies featured here are definitely some of the best, and they are based in Cusco so cater to both foreigners and Peruvians. If you want to keep the price down, consider doing an alternative trek to Machu Picchu, which tend to be significantly cheaper than the classic Inca Trail. Have a good trip! Tony. We went through Cachi (cachilife.com). We loved them! Their chef was amazing. They also made the experience really enjoyable for us as they included a half porter as a part of the cost. They also had a guide that was super passionate about the culture and spoke great English. Thanks Kara! I haven’t heard of them before, but I’ll definitely keep them in mind. Cheers, Tony. Hi, thank you for this super helpful article! 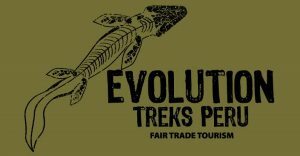 Have you heard anything about Evolution Treks since you wrote it? I’d be really interested to hear people’s experiences with them. Thanks! Hi Gladys. I haven’t heard any more feedback about them directly. But they do have quite a few glowing reviews on TripAdvisor in recent weeks and months. The trekkers were probably asked to write the reviews, but they do seem genuine — and someone from Evolution Treks has responded to all the comments, which is always a good sign of a professional agency. If you do choose them, let me know how it goes if you have the time. Thanks! Tony. Hi Debbie. If you mean these guys: salkantaytrekking.com, then no, I don’t have any direct info. Quite a few of the Inca Trail tour operators mentioned in this article also do the Salkantay Trek, so any of them should be fine. Salkantay Trekking look good, but yeah, I can’t recommend them from experience. Thanks, Tony. Hi Robert. I’ve never heard of Kenko or Sparrow Explorer. But I do mention SAM Travel in this article. They have good user-generated reviews online and were mentioned by Condé Nast Traveler a while back. They’re probably a good option. But I don’t have any first hand experience of them. Thanks, Tony. Hi Hans. I’ve heard of both. United Mice I’ve heard a lot about, less for Tierras Vivas, but either should be fine. Thanks, Tony. 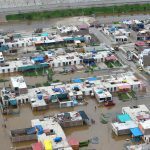 I plan to come to Peru this year and want to see as much as is possible given my situation. I am disabled and walk with a walking aid. What do you suggest in terms of seeing and doing the most that is possible. I am more tan aware of my limitations and of course my safety is a priority. Hi Sheila. Generally speaking, Peru isn’t particularly well set up for disabled travelers, although it is slowly improving. That said, there are still a lot of archaeological and natural attractions that you can reach fairly easily, or you can get guides to help you get there (many of the guides in Peru are incredibly helpful, especially with the more reputable companies). The most accessible attractions, and those with slightly better access, are normally in the southern half of the country along the “gringo trail” (Nazca, Arequipa, Puno, Cusco etc). Some agencies also offer customized tours of various attractions for disabled travelers, so it’s worth researching that option for anywhere that you’re interested in. Really it’s probably a question of making up a rough itinerary and then doing a bit of research about accessibility for the places you want to go. Let me know if you have any particular places in mind, or if you have any more questions. Thanks, Tony. Hello Tony! I am impressed by how quickly you respond to questions. I am looking to do a Peruvian visit in September 2019 and am very concerned about ensuring I source an ethical company both socially and environmentally. While in Peru, we would like to include a visit to the Amazon jungle, Rainbow Mountains, and the Classic Inca Trail. I am having trouble finding a company that will do everything in one itinerary. Of your list, who would you recommend that could include all three of these? We are looking for about a 10-15 day visit. Hi Crystal. All of the companies listed above should have fairly high, and probably very high, standards when it comes to being socially and environmentally conscious. They are all Peru-based companies who treat their guides and porters well (a must for being included here), and the guides are normally very responsible (there could be a few exceptions with individual guides, but generally not). As for combining the Amazon jungle, Rainbow Mountain and the Classic Inca Trail, I can understand why you might be struggling to find that as a package, mainly because Rainbow Mountain isn’t always included in Inca Trail + Amazon combos (a common package). And some of the companies listed above are Inca Trail specialists who don’t do the jungle. But you could contact some of the companies and ask about a customized tour that includes all three (I imagine some if not most could arrange that). Or you could do an Inca Trail + Amazon package (probably Puerto Maldonado/Manu for the jungle) and then arrange a separate trip, with the same company or a different one, to Rainbow Mountain, which you could do either at the start of your trip or at the end, depending on the schedule. Maybe try contacting Llama Path and Explorandes first, to see what they say and get an idea of prices (Llama Path tend to be cheaper than Explorandes, but both are good). Let me know if you have any more questions. Thanks, Tony. Why the big discrepancy in the costs of the various tours to inca trail? Is the added cost for explorandes or amazonas worth it? Hi Sandhya. It’s more of a “luxury” thing. The more expensive Inca Trail operators have gourmet food, really nice tents, plenty of snacks and stuff like that. For me personally, I don’t really think it’s worth it, as the trekking is more important than having really nice food three times a day. But if you like a bit more luxury, then go for it. If not, the cheaper operators listed here all do a good job. Thanks, Tony. My huband and I are planning to visit Peru in August 2019 and are interested in the Classic Inca Trail. I’ve contacted several of the operators mentioned above and the price seems to be very similar. They all want us to book now and send them a deposit, but we think it’s too early. Could you tell me if it’s the right thing to do, that is, book so well in advance? I know that August is a very busy month. Hi Ruby. It’s always a good idea to book the Inca Trail as far ahead as possible. A year is quite far in advance, but not excessive really, especially for high season. If your plans are concrete and you don’t mind paying a deposit so far in advance, then you might as well do it. Have a good trip! Tony. Many thanks, Tony. Your advice is helpful. My daughter and I are planning to do a Machu Picchu trek in June 2019, likely with Exploreandes. . Do you have any suggestions regarding how many days we should be in Cusco before the trek to adjust to the altitude? Additionally any suggestions for hotels in Cusco, local tours of Cusco and airlines you would recommend? Hi Ellen. A minimum of of 24 hours is normally recommended to acclimatize, especially if you fly into Cusco from Lima, but two or three days is better if you have the time. All the main airlines are decent, but I tend to fly with Star Peru, Peruvian or LAN/Avianca. You can read more about Cusco here, which also has links to more info about hotels, restaurants etc: http://www.newperuvian.com/cusco-travel-guide/ . Thanks, Tony. Are you familiar or have you heard of Kona Tours Peru? Hi Eric. I’ve heard of them, but honestly don’t know much about them. I just had a quick look at their website and Facebook page, and they look like a professional outfit. Beyond that, I don’t know. Sorry about that. Thanks, Tony. Hi Richard. If you mean these guys — https://www.mayuc.com/en/ — then I’ve heard of them, but more as a rafting outfit than for their treks. Beyond that, I don’t know much about them. They’ve got solid reviews on TripAdvisor, but again more for their rafting trips than for their treks. For the classic Inca Trail trek, it might be worth considering some of the specialist Inca Trail operators listed in this article before deciding to go with Mayuc (no offense to Mayuc, I just can’t personally recommend them as much). Thanks, Tony. Hi Thomas. I’ve heard of Condor Travel, but don’t know much about them. They have 10,000+ followers on Facebook, and recent posts, which is a positive sign. 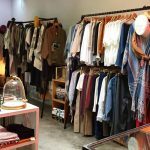 And they have plenty of recent reviews on TripAdvisor, with enough very positive reviews to make it believable (https://www.tripadvisor.com/Attraction_Review-g294316-d2435366-Reviews-Condor_Travel-Lima_Lima_Region.html). So, while I don’t have any personal experience of the company, it looks like a good option. Thanks, Tony. Hi Jarlath. Any of the cheaper options above should be fine (Peru Treks, Alpaca Expeditions, Llama Path etc). You can find cheaper options, but anything much under $600 (unless it’s a promotional offer) starts to get suspiciously cheap, and may not be worth the risk unless you find plenty of solid, genuine reviews saying otherwise. So have a look at the companies listed here, one of them should do just fine. Thanks, Tony. Hi Linda. All of the tour operators listed above are good options, as long as they offer the trek you want to do with those group sizes. A lot depends on how much you want to spend. The more expensive tours should have better food and possibly higher quality camping gear, but even the cheaper ones mentioned here do well in that respect. But the three you’re looking at — Amazonas Explorer, Enigma and Explorandes — are all great options and I’m sure you’ll be happy with whichever of those you choose. Thanks, Tony. do you know or have any information about https://incatrailtrekkingcompany.com/ ? They do have reviews on Tripadvisor, however I cannt find more information about them. We thought to book Inka trail via them. Your advise will be appreciated. Hi Monika. I’ve never heard of them, to be honest. Is there a particular reason you’re thinking of booking the Inca Trail with them? Thanks, Tony. We have booked with Wayki Trek, paid a deposit and was due to be notified about the permits in January 2019. We have recently been in contact with them (end of last year) but we now are unable to get in contact and all emails are coming back as address not found, do you have any insight? Hi Brittany. Have you managed to contact them yet? It’s strange that they’re not responding. I’ve just sent them a message on Facebook, I’ll let you know if I hear back. Have you tried calling them on Skype? Thanks, Tony. Hi Nicole. I’ve never heard of them, sorry. If you decide to trek with them, let me know how it goes. Thanks, Tony.